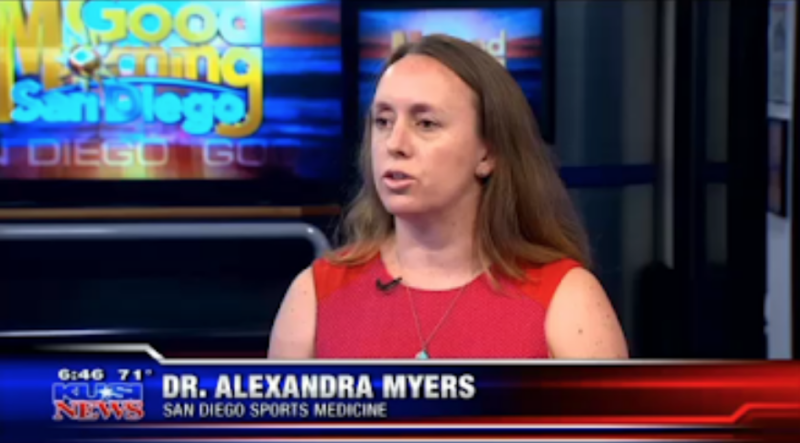 Doctor Myers appearing on KUSI’s ‘Good Morning San Diego’ to discuss treatment of concussions. Family Medicine encompasses all aspects of medical care and wellness. Dr. Myers welcomes patients to her office to discuss common ailments such as high blood pressure or diabetes. She also sees patients for coughs and colds. Many patients come for an annual physical or ‘check-up.’ A check-up consists of reviewing your family history, personal history, medications and current complaints. Within the visit Dr. Myers may recommend various types of health screenings including blood tests or cancer screenings such as mammograms. What is a general Medicine Physician or Doctor? What is the difference between Doctor of Osteopathy vs. Medical Doctor? How does a general practitioner DO approach patient care? How do I choose the best Physician for my family in San Diego ? A general medicine physician/doctor is someone who serves as a primary care provider (PCP). A PCP is meant to be the leader of your medical home – where you go when you have a cold, a sprained ankle, or need a physical. The PCP can help you with your problem, or refer you to a specialist if the need arises. A Doctor of Osteopathy (D.O.) is different from a Medical Doctor (M.D.) in several ways. D.O.s are taught from the beginning of their schooling that the body is a unit that has its own capacity to heal. D.O.s are taught to focus on helping the body heal itself, while diagnosing whatever ailments a patient has. D.O.s perform Osteopathic Manipulative Treatment with their patients for a variety of reasons: back pain, asthma, headaches, etc. Although there are noticeable differences between how D.O.s and M.D.s practice, most of the time people don’t know if they have seen a D.O. or a M.D. for their care. As a general practitioner or family practice D.O., Dr. Myers approaches patient care in a holistic manner. She looks at the patient from what is called the ‘biopsychosocial’ perspective. This means that she may ask you about your family and work life, she may ask about stress in your life – all of these things can affect your health. Family Medicine D.O.s spend a lot of time focusing on lifestyle changes such as diet and exercise in addition to prescribing medication. It can been difficult to choose from the many wonderful doctors in San Diego. Dr. Alexandra Myers recommends choosing a doctor who feels comfortable caring for all members of the family, and who is conveniently located to your home and/or work. It is good to check if a doctor has office hours that work for you and your family, and if they are capable of caring for the conditions that you may have. 1) is the doctor ‘in-network?’ If not, does your insurance cover ‘out of network’ visits? 2) Do you pay your copay or a deductible for a primary care visit? 3) Do you need to pay at the time of service? Or will you be billed later? In this day and age it is worthwhile to bring up any cost concerns to your doctor. For example, if a patient is concerned about cost we may hold off on lab tests or xrays if they are expensive. It is important to be mindful of both your health, and your wallet. Feel free to reach out and schedule an appointment using the contact form on this website to see Dr. Myers. She practices in two locations, schedule today.